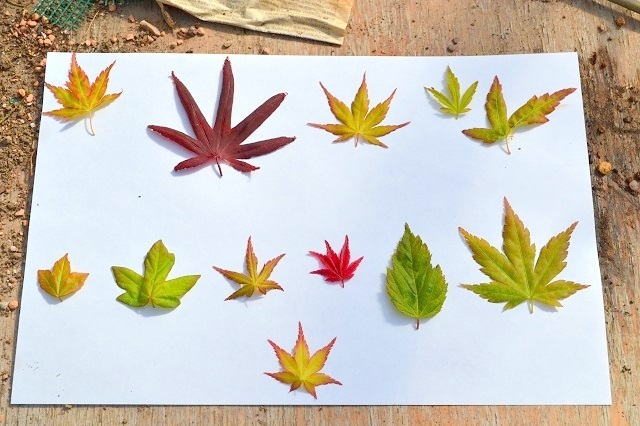 Thought it would be interesting to compare/contrast leaves from all maples in the garden. If anyone can identify the unknown cultivars please let me know. Or also if I have misidentified any. 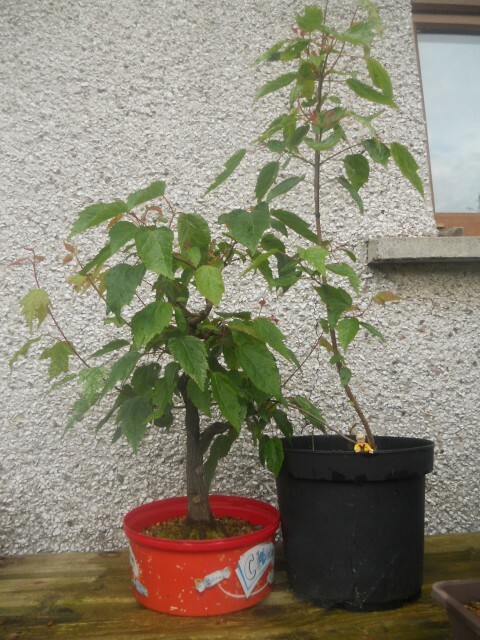 These all came from individual trees that are in pots or being field grown for bonsai purposes. Deshojo is definitely the winner at this time of year. 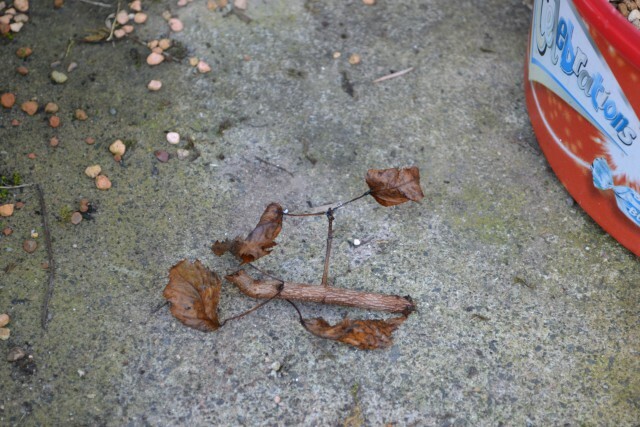 I’m referring to an attempted threadgraft on an Amur Maple which I performed at the start of spring this year. This is a poor picture of the tree back in January. A pretty straight, mature lower trunk followed by a much younger apex and not much inbetween. 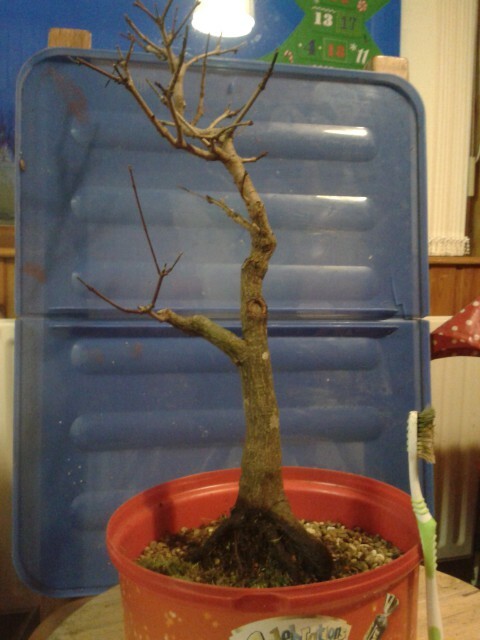 This had bothered me ever since I bought it online four years ago but this year I asked for a few opinions on the Bonsai Ireland hub as to the better front and then decided that i would try and address the lack of branching on one side by performing a thread graft using a shoot from another tree developed from cutting. A hole was drilled pointing slightly downwards and the shoot threaded through from right to left in the above picture. You can see after a few weeks things were going well and for the whole summer I left the threaded shoot unpruned to encourage it to thicken as much as possible. All other shoots on the donor tree were pruned to aid this. 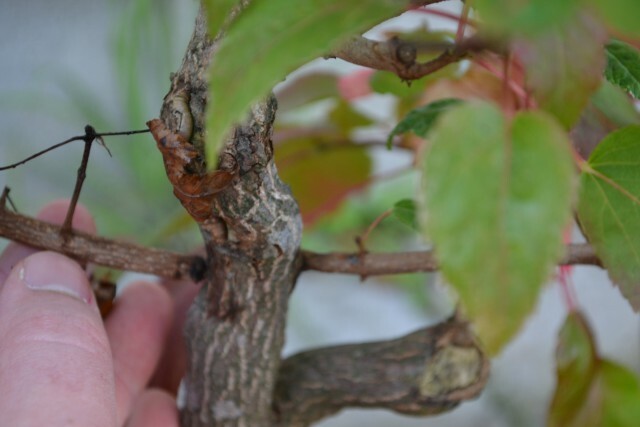 However a few weeks ago I noticed a deterioration in the shoot and upon closer inspection the join at the exit hole on the trunk was loose and the branch damaged at this new junction. I now believe this to be due to the weight of the branch pulling it down and preventing the the two cambium layers effectively joining . 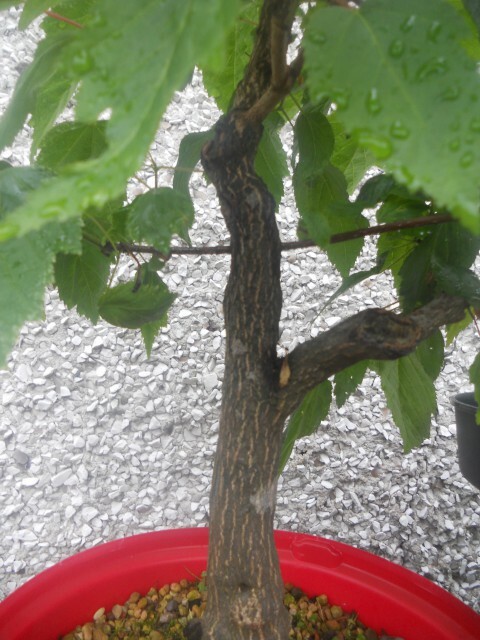 I pruned the new shoot back but it was too late and the remained of the branch died. Last night I had a closer look and it just fell off.